Specs: Town tour, tourist spots, Santiago bay white sand beach, Danao lake, cave, bird watching, skim boarding, seafood. 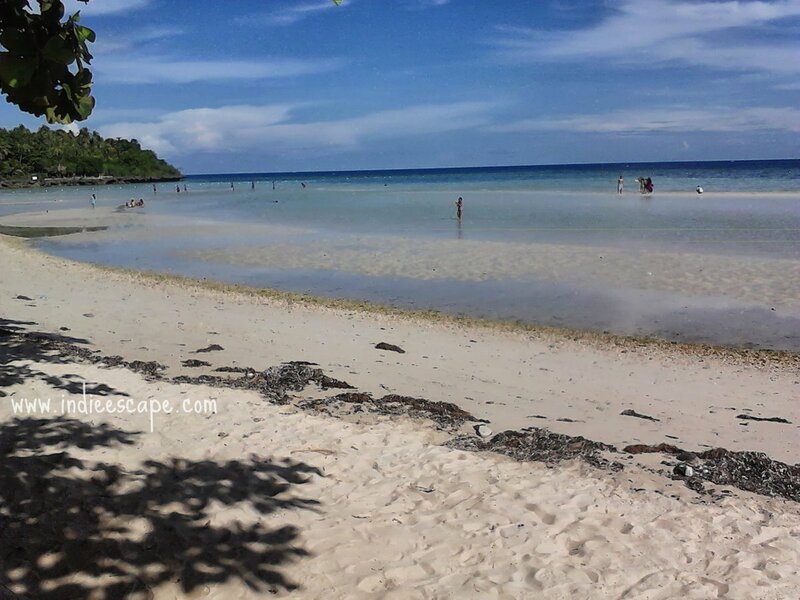 Camotes is a small group of islands between Cebu and Leyte famous for its laid back beach scenes, lake park (Danao) and underground caves. Its two largest islands, San Francisco and Poro is connected by a land bridge (causeway) that cuts through a mangrove forest, about 2-kilometers long. Option 1. From Cebu City, travel to the North bus terminal and take any bus headed to Hagnaya, Carmen, Bogo or Daanbantayan VIA DANAO. Alight at Danao Port. Fare is around P35 . Option 2. 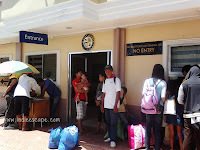 From Cebu City, travel to SM City V-hire (public utility vans) terminal. P50 fare gets you to Danao town center (Gaisano), and you’ll have to walk or ride a padyak (pedicab/bicycle cab, P10) to the Pier. Option 3. Take a jeepney from Mandaue highway. Fare is around P30. *Travel time is about 1 hour. 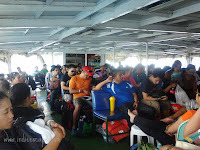 JOMALIA shipping line operates the most trips to and from Consuelo Port in Camotes (Consuelo Port is nearest Santiago Bay white beach). It’s a RORO-type ferry that can accommodate up to 200+ passengers (travel time about 2 hours). Advance booking is available at their main office near SM City. I suggest you book in advance during peak travel days (weekend mornings and holidays). Ticket price: P180 regular/ P200 VIP (aircon) / P90 child. Super Shuttle Ferry only has 1 Consuelo trip daily. 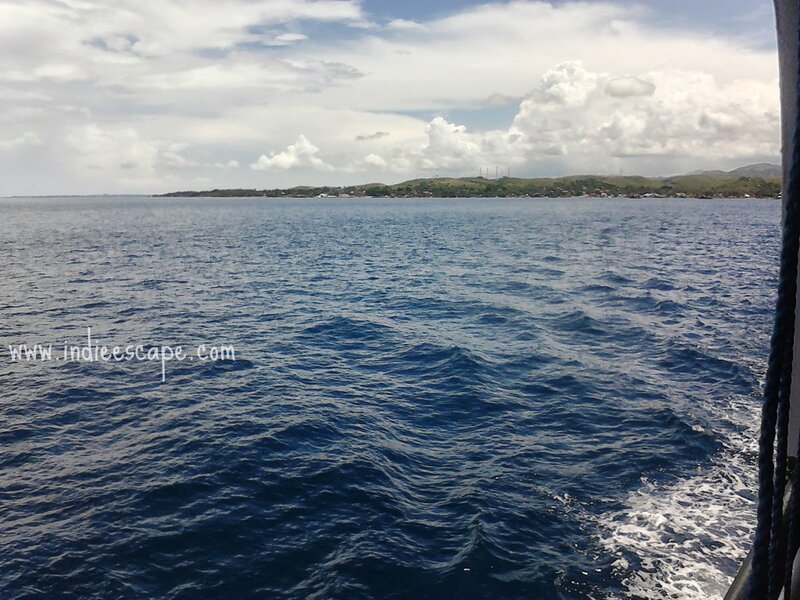 Other options are: motorized banca, chartered speed boat from Mactan or fast craft from Cebu City Pier 1. INDIE TIP: If, for some reason, you can’t secure a seat to Consuelo, you can opt to take a trip to Poro. Travel time is about 3 hours and that wharf is a good 40 minutes away from Santiago Bay. • Only a handful of resorts and accommodation is available in Santiago Bay area. These can easily get fully booked during peak season. Case in point, we couldn't get a room in Santiago Bay Garden Resort that weekend. 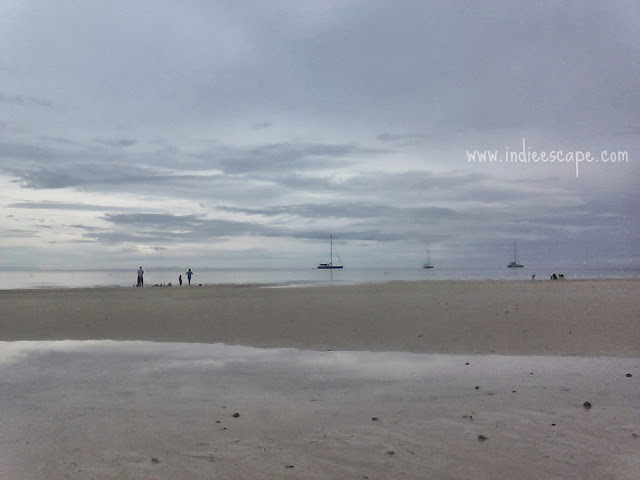 • I'll post a list of resorts/lodging/accommodation in Santiago’s white beach bay later. • Camping is allowed in the barangay beach front (P50-100 tents; P150-P200 open cottages). There are also some residents who open their homes to backpackers (homestay) during peak season. • Some resorts offer free transfers from the wharf. 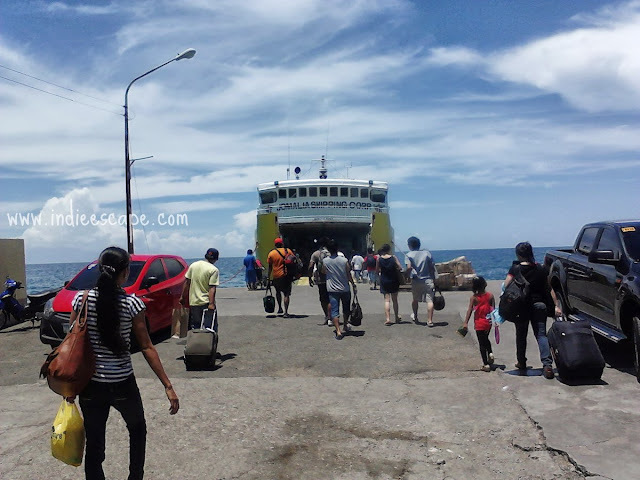 • From Cebu City, travel to Danao City Pier and wait for your ferry’s departure. Pier terminal fee: P5. 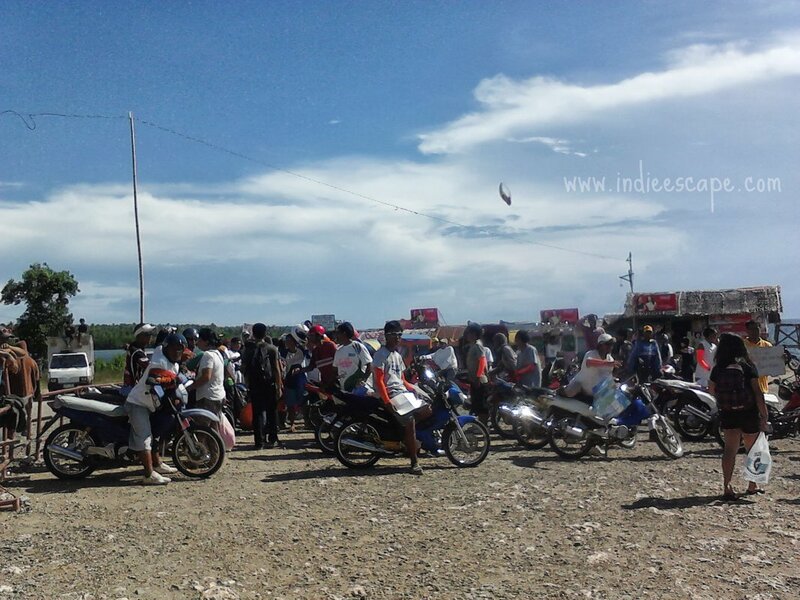 • Basic needs are available on the island such as drinking water and food. But I suggest you bring miscellany items like snacks, sunblock, meds and such to avoid hassle. • Last minute supplies can be bought in Danao town (P10 via padyak/pedicab from pier). • If you’re not travelling VIP, try to get ahead of the queue during boarding so you can get good seats. 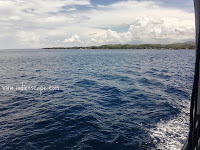 INDIE TIP: Dolphins and flying fish are commonly sighted in the waters between Danao and Camotes, so look out for those. • Resort representatives and (mostly) motorbike drivers greet passengers at Consuelo wharf, offering their services. • Hire a motorbike to take you to Santiago bay (and possibly for your half-day island tour, too). 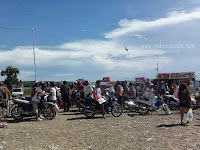 • Motorbikes (habal-habal) charge around P50 per person. We took small tourist shuttle, also for P50 per person so we can sit comfortably (instead of straddling). Multicabs are also available for hire, around P300, I think. • Check in at your chosen resort/lodging and leave your bulky bags. 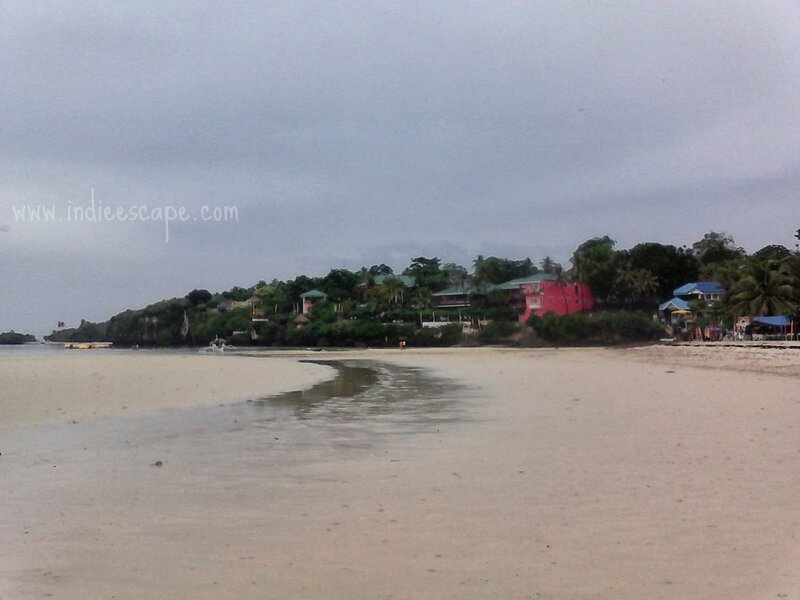 Read my review of Bellavistamare Beach Resort here. • Rent (if you know how to drive a motorbike) or hire a habal-habal (motorcycle with driver) for your half-day tour. 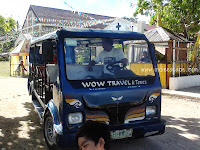 Rentals are around P400-P500 per day (P200-P250 half day), excluding gas. Habal-habal rate is around P350, which covers about 4 destinations. • First stop is San Francisco, a relatively big town in this rural island. 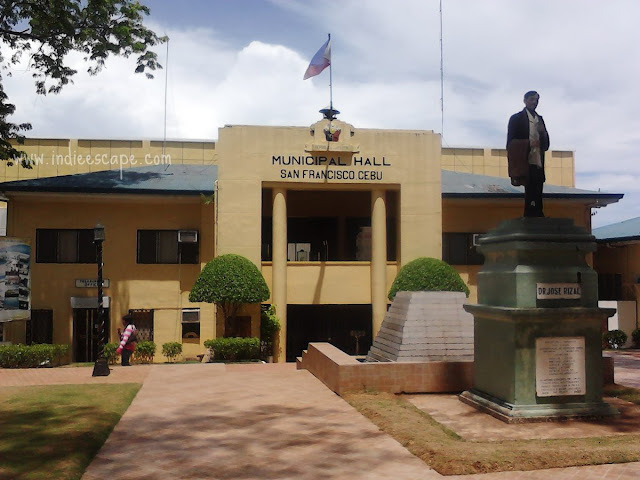 Take a quick walking tour (Baywalk, Cota Park, St. Joseph Parish, Municipal hall, market). • Next, have lunch at one of the barbecue stalls across Agora. 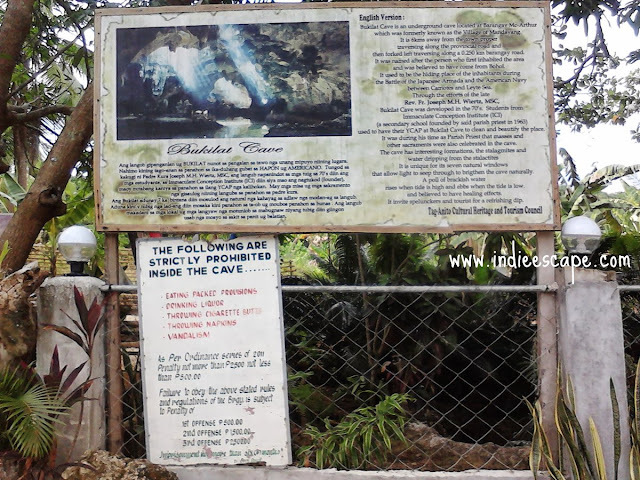 • After lunch, head on to Tudela to see Bukilat cave. 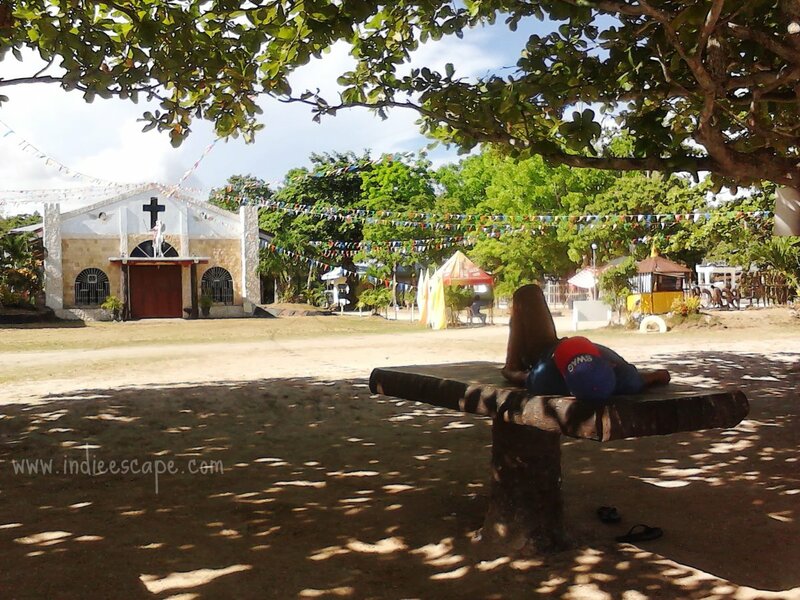 Along the way, you’ll pass by the land bridge (connecting San Francisco/Pacijan to Poro island) and some nice old churches – colonial era Poro church and Tudela parish which has an art-deco-looking structure beside it. • Entrance fee in Bukilat: P10 adult/ P5 child; swimming in the cave is ok but there’s no shower facility outside. • From Bukilat, ride back to San Francisco and on to Danao Lake Park. If you have extra time, take a quick stopover at Buho Rock in Poro town (entrance fee P5). It’s a small resort park where visitors can go cliff jumping. 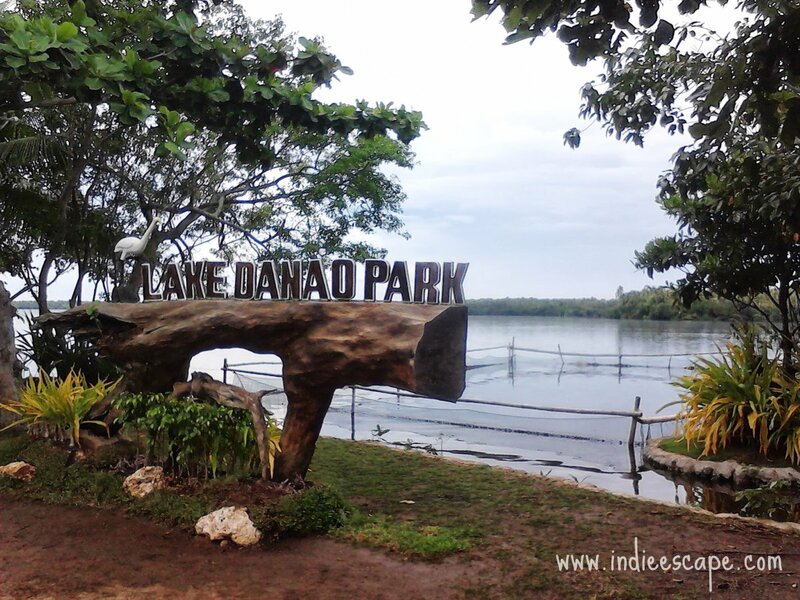 • Danao Lake Park entrance fee: P10 adult/ P5 child. Activities in Danao Lake: Kayak P50 per person, swimming pool P100 adult / P50 child, fishing, row boat, horseback pictorial, picnic. • Before sundown, head back to Santiago bay, this time taking the road via Monte Alegre-Consuelo-Santiago. • Dinner at one of the beach side carinderias. • The right-most end of Santiago bay is lined up with carinderias. Dishes are reasonably priced: P60-P95 per meal with drink. Beer P35/ grande P75. Seafoods are a must! • Some resorts offer free breakfast with every booked room. • Check out local peddlers selling fresh catch (carinderias will gladly cook them for a small fee), or native snack (puto, malagkit, kiping). • I didn’t see any restaurant or café that serves intercontinental dishes, but I heard of a Swiss resort so maybe they have it there. • Barbecue stalls across Agora in San Francisco town sells chicken, pork and innards. You can buy some fish at the nearby wet market and have it grilled for a small fee. 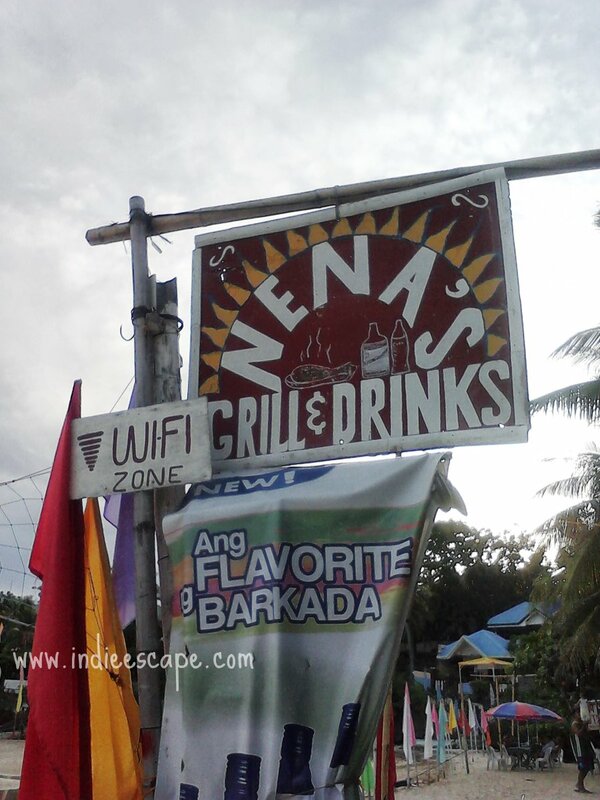 • You’ll find a sari-sari store outside Bukilat cave, if you need some refreshments. 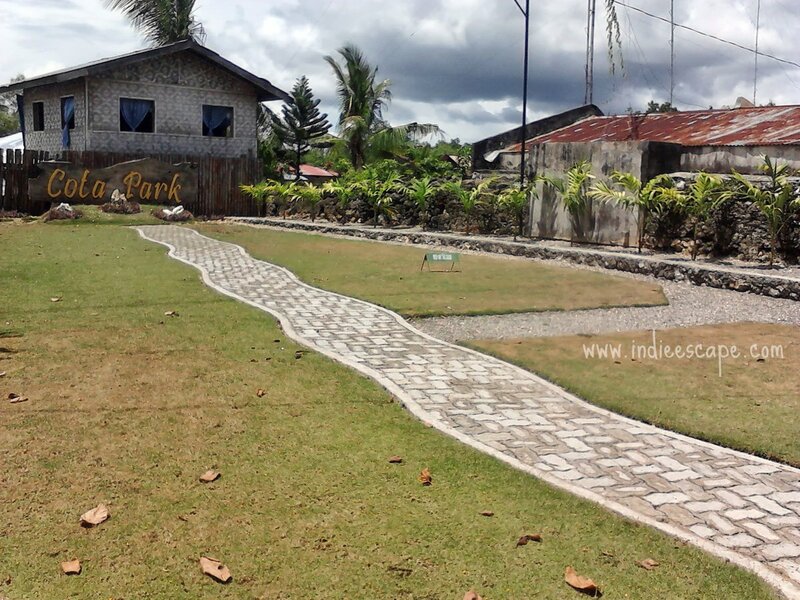 • Lake Danao park has a picnic area and mini bar that sells chips, bottled drinks and beer. 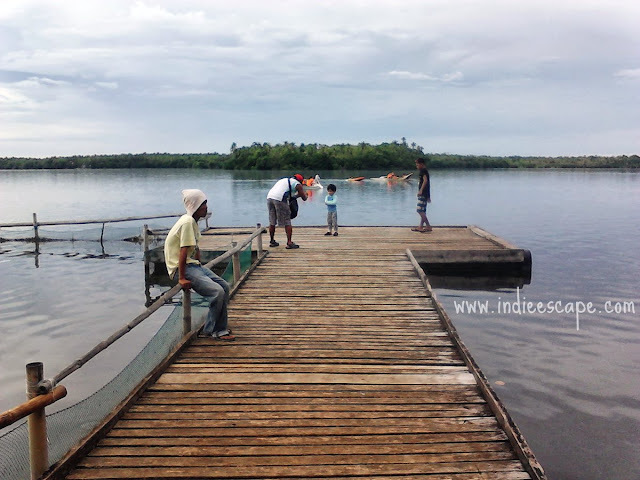 • On our way back from Lake Danao, we stopped by the fish market near Consuelo port to buy fish (had it cooked in a carinderia at Santiago bay beach). • Morning of day 2 is dedicated to exploring Santiago bay’s beach. Go Swimming, snorkeling, and explore rock formations beneath Santiago Bay Resort and the old cemetery cove. • Wash up by 11:00 and be ready for lunch by 11:30. • Check-out of your room by 12:30. 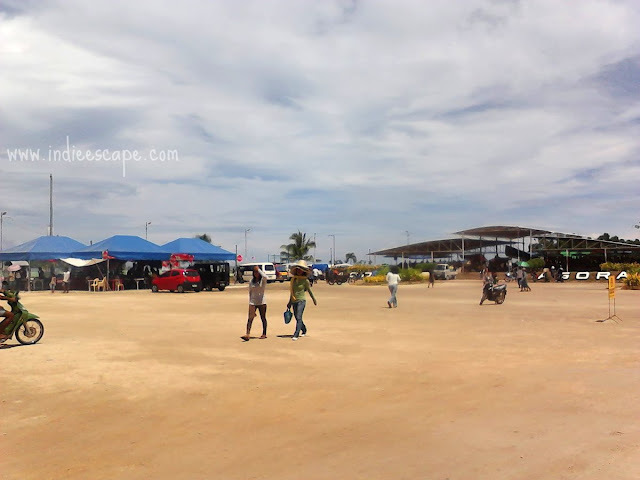 • Arrange a trip back to Consuelo, with a quick side trip to Mangodlong beach. • Entrance in Mangodlong is P15. • Make your way to Consuelo port and secure tickets back to Danao City. 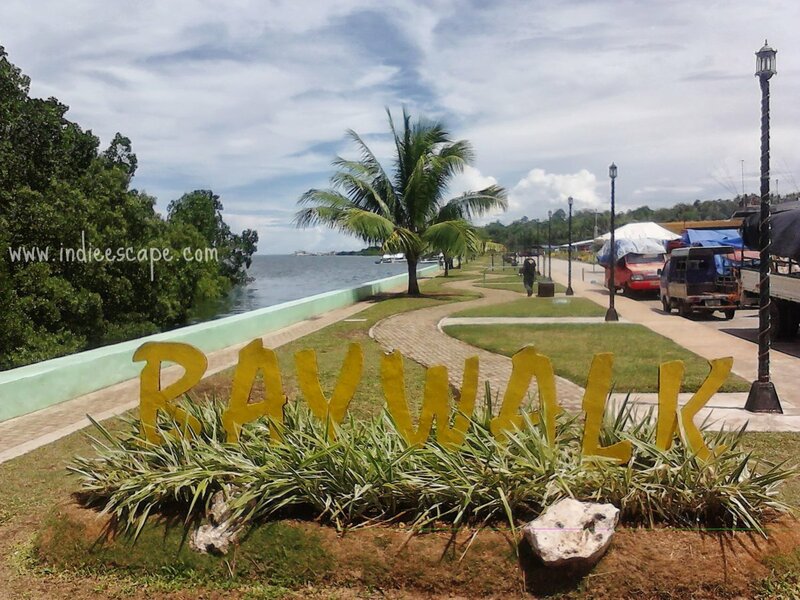 • You can choose to take a ferry to Poro and spend the night there to explore more of that part of the island (then take a trip back to Danao via Consuelo). • Bring your own vehicle. • There are waterfalls to explore in Poro island (I didn’t get to see any because of time constraints). • If you have an extra day, be sure to add these to yout itinerary: Greenlake park, Mt. Calvary, Makhaw beach, Timubo cave, Guadalupe cave, etc. if your looking for a cheap tour guide and friendly driver please contact this number globe 09058793595 or smart 09493760511 .his name is Wilbes Cabatana.For 500php good for two person you can visit our top tourist attractions. 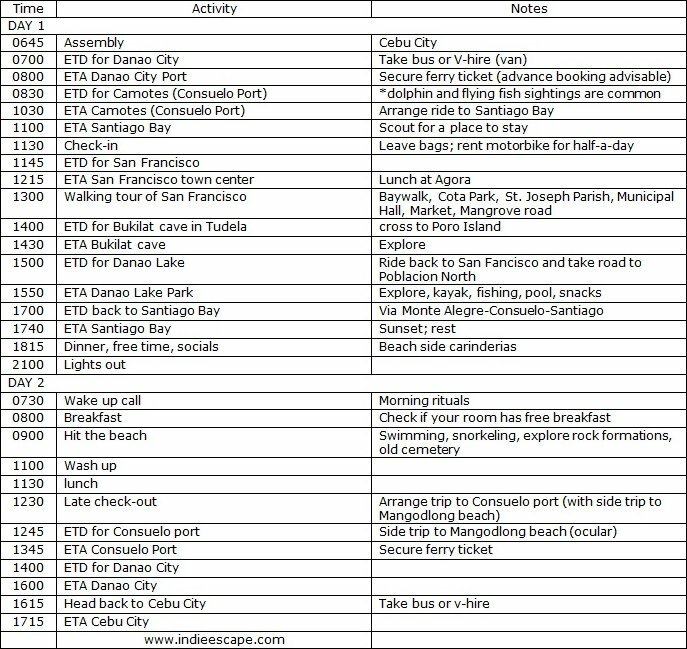 i have plan to visit Cebu and onther island near Cebu. 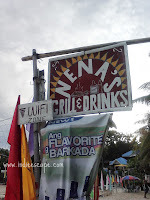 and im a muslim, do u know to find halal food at Camotes Island ? hi is this is still up?? I would like to ask where did you hire this shuttle tourist vehicle ? can we drive it ? hi..do you have a contact number for the service shuttle?